Behind the emergence of huge establishments and vast subdivisions in the city of Dasmariñas, there is a flourishing and thriving agricultural land that prevails through the persistent struggle and collective action of the Katipunan ng mga Lehitimong Magsasaka at Mamamayan sa Lupang Ramos (KASAMA-LR). After more than 50 years, it’s time that Dasmarineños get to know and grasp the 372-hectare agricultural land known as Lupang Ramos. As Lasallians who may have passed by the area of the picket line of KASAMA-LR along Governor’s Drive, get to know what the farmers and their families from Lupang Ramos are fighting and struggling for as long as they can remember. Through the years, the generations of farmers in Lupang Ramos have been through various disputes in developing their farmlands, such as going against landlords who have coerced the conversion of the agricultural land to residential use. Under the American Colonial rule, the land was once called Lupang Kano. Through Public Land Act of 1903, which introduced the homestead system of landownership in the Philippines which was open for the public, it eventually paved the way to be an open homestead for residents of Dasmariñas during the Commonwealth era comprising of families of kaingeros tilled the lands—whose labor and hard work are still evident at present time as the land of Lupang Ramos is still maintained and cultivated by its farmers. The struggle of the farmers started when the proprietors who obtained homestead sold the farmers’ rights over the lands, demanding farmers to sign blank documents unfavorable for the farmers themselves. From farm residents to farmworkers, the struggle continued in 1965 under the helm of the family of Emerito Ramos, to whom Lupang Ramos received its moniker, who after claiming ownership of the land ordered the cultivation of rice, corn, and wheat in the farmlands. After the declaration of Presidential Decree No. 27 of 1972, limiting landowners to lands not exceeding seven hectares for farmlands cultivating corn and rice, the Ramos shifted the production in its lands to sugarcane. In addition, the Ramos family through its real estate company, Emerito M. Ramos & Sons Property (EMRASON), after owning a vast area of land in Brgy. Langkaan I attempted to flatten the lands for commercial use. In the midst of the feud between KASAMA-LR and Buklod, anonymous gunshots were reported to be fired with the attempt to intimidate KASAMA-LR farmers off the lands. A checkpoint has been placed in the middle of the land for the safety of the farmers and to mitigate the ongoing dispute between the two parties—along with an ongoing dialogue of both parties with DAR. “’Yong checkpoint na ‘yon dahilan nila kaya ‘yan ay nilagyan nila, kami mismo ay pinamaril mismo doon ng mga kabilang grupo ay para daw mahanap kung sino ‘yong namamaril kaya sila naglagay doon ng checkpoint,” Villanueva added. Despite the conflict, the farmers have already tilled the land and as of August this month, have harvested corn and other crop followed by the celebration of the anniversary of Bungkalan “para sa tunay na reporma sa lupa” on September 26 which aims to reestablish the objective of KASAMA-LR: Revocation of the exemption order of the land. “Dapat nga kasi, June lahat ‘yan may tanim, eh no’ng nagkaroon ng kaguluhan na-stuck ‘yong aming mga pagtatanim. 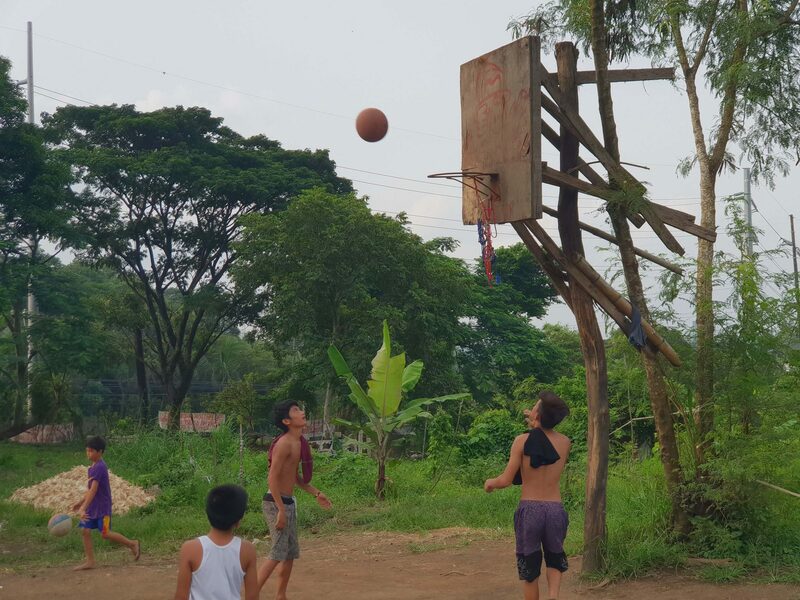 Kaya eto ay, kahit nagkakaroon ng kaguluhan, sinikap naming makapagtanim para kahit papaano ay mayroong kitain ‘yong mga magsasaka,” Villanueva said. On June of this year, threat shadowed the protest camp in Lupang Ramos as armed men fired at a group of farmers at around 10 PM. “Sa huling balita, halos labinlimang putok [ng baril] ang narinig,” Kabataan Partylist – Southern Tagalog said in an online statement. At that time, while no one was reported to be hurt, the lives of 40 individuals were jeopardized, including not only farmers but also student volunteers who were at Lupang Ramos at the time. At the emergence of the conflict between KASAMA-LR and barangay officials and residents, several local and national organizations have showed support for the farmers and their families who democratically fight for their right to till and develop the vast agrarian land. The College Editor’s Guild of the Philippines (CEGP), an intercollegiate alliance of student publications in the country, is just one of the organizations who strongly support the fight of the farmers and families from Lupang Ramos. “In these fascism-stricken times, the vast majority of the Filipino people have no choice but to resist and fight back against a regime that is filled with crimes against its own people,” the alliance said in a statement. According to Villanueva, the government must recognize the need for inclusive and sustainable actions in response to the issue of food security. “[Dapat na] kilalanin [ng pamahalaan] ang panawagan para sa seguridad sa pagkain at suportahan nila ang KASAMA-LR,” Villanueva stated, furthering that the government often remain silent in the issue of food security. “Wala na atang bigas na bababa pa sa sikwenta,” Villanueva said, pertaining to the price of rice found in local stores at present time. During the fourth week of August, the average retail price of regular milled rice costs 43.86 PHP per kilo while well-milled rice soared to 47.12 PHP as reported by the latest price monitoring report of the Philippine Statistics Authority (PSA). Compared to the rice price during the same period last year, these prices were 15.2% and 11.6% higher. To bolster the production of rice as well as to further the use of the agricultural land, the farmers transformed a portion of the land into a water reservoir called “tubigan.” This tubigan will expedite the production of the farmers, and will be a great contribution in providing a stable supply rice in the city. The ongoing plight of the farmers of Lupang Ramos for land to cultivate and develop only reflects the undying agrarian unrest in the Philippines, which has been plaguing for the past decades. 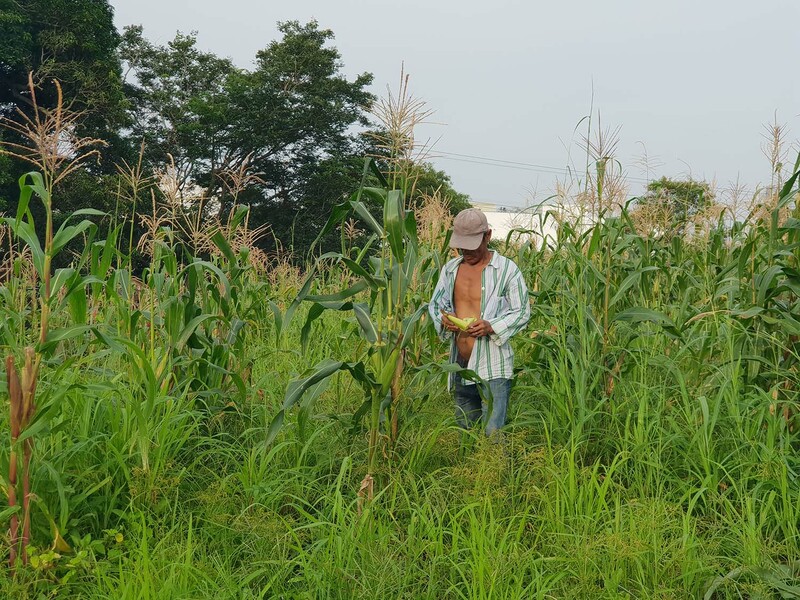 Beyond the perimeter of the developing city of Dasmariñas, many farmers all over the country are repeatedly victimized by an epidemic of repressive actions from huge corporations and policies from the government. A prominent instance occured in Hacienda Luisita in Tarlac on 2004 wherein more or less 5,000 farmers and workers were placed in a parlous situations. At that time, the farmers and workers had been on strike and camped out at the gates of the Central Azucarera De Tarlac. According to the reports of Bulatlat, an alternative media organization, the farmers and workers were calling for the reinstatement of 327 union leaders who were laid off by the Cojuangco-owned Hacienda Luisita, Incorporated. This demonstration of collective action led to a violent dispersal wherein state security forces utilized water cannons followed by a rain of 200 tear gas canisters and bullets—causing the death of seven individuals and the injury of 200 people. The struggle of the farmers is not only limited violent dispersals as commercialization and militarization were also common in several provinces in the country. In Central Luzon, a vast agricultural land ancestrally owned by the Aetas will be converted into a multitrillion business district—New Clark City. Thousands of Aetas are estimated to have been placed in peril for the sake of commercialization and development aggression. Likewise, the Central Luzon was the home of several military camps of the Armed Forces of the Philippines, the Philippine Air Force, and the United States Armed Forces including the camps in Aurora, Pampanga, Tarlac, and Zambales. According to the reports of Bulatlat, the USAF and the US government led the construction of a warehouse at BASA Air Base in Pampanga, which is under the Enhanced Development Cooperation Agreement with the Philippine government. Similar with Central Luzon, the farmers in Southern Tagalog (ST) are continuously being harassed by the military, which has actively conducted aerial bombings and protected land-grabbers against the land occupations of farmers in Batangas. Thousands of farmers in peasant communities had to find refuge elsewhere after the AFP and PFA launched attacks and aerial bombings. The Visayas region is also home to some of the largest haciendas in the country. Haciendas in Negros Occidental, such as Hacienda Raymundo in Silay City, are transformed into large plantations of sugarcane where farm workers often earn less than 300 PHP every 15 days—which is undeniably lower than the daily minimum wage of PHP 295 in the region for agricultural plantations, and not enough to suffice for decent living. In the end, farmers are left landless, hungry, and poor. Worse, dissent and any sign of resistance leads to either death or harassment. 76 of the 150 killed farmers came from Mindanao. With 23 out of 48 of the biggest mines operating in the Philippines situated in CARAGA as recorded by the Barug Katungod, an alliance of human right workers in Mindanao, 5% of the total land area of the region is utilized in mining, with 500,000 hectares in Mindanao reserved for plantations. Both of which result damage to land making it incapable for the cultivation of crops in farmlands, as well as displacing Lumad communities. These examples of aggression and repression toward farmers and their families ultimately is the reason for their upheavals against the government. Until today, the ranks of the farmers who rightfully fight for a land to till are being deafened by deceptive and oppressive policies and programs. In an agricultural country like the Philippines, it is alarming that the only way for farmers to fight against landlords, who have the financial capacity to utilize resources in progressing industrialization and modernization, is by asserting their rights. Defenseless, having little to no resources, the farmers who produce the primary food resources of the country, along with the Filipinos, are in the position of lifting the political, social, and economic situation of the country yet they must be assisted in fighting back against the emerging despot. These piles of false actions only cause Filipinos to deal with countless perils, which affects not only them, but also their families—most especially, the elders and children. These policies and programs trample the farmers right for recognition, support, and protection as a vital sector of the Philippine society. According to Kabataan Partylist Representative Sarah Elago, majority of farmers in the country remain landless while the state of agriculture remains backward and unresponsive to the needs of the local economy. Regardless of their location, farmers are being forced to swallow the pill of industrialization, which compromises them exactly on the land they are tilling. While industrialization and development aggression continue to this day, the plight of the farmers remain. Regardless of the terror and threat brought by those in positions of power, the farmers and their families will never be silenced in their pursuit for land to call their own.